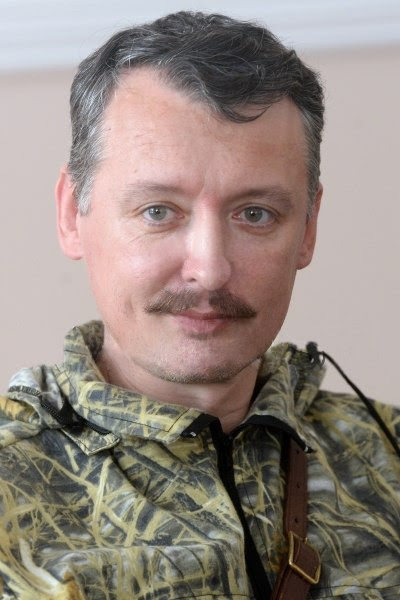 Note: Apart from the Antiquariat Forum, where Igor Strelkov used to post all his short briefings and commentary, the LiveJournal blog of Summer56 was the first independent platform that Igor Strelkov used for his longer statements, appeals, and fulsome regular briefings. For many of us, this was our first (virtual) encounter with Igor Strelkov. 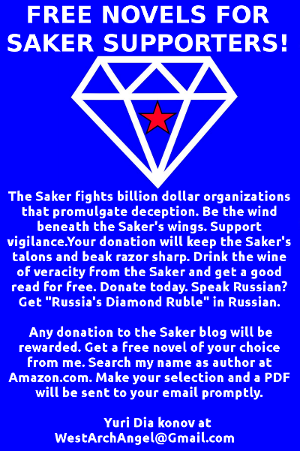 Summer56 is Igor Strelkov's close friend and one of his most faithful allies. I have already written that everything is fine with Igor Ivanovich, and that he is alive and healthy. But today against there were rumours that he was, after all, heavily wounded and even killed. What is more, these rumours were being spread not by Ukies, but by our own bloggers. I state, taking full responsibility for my words, that today (August 17, 2014), at approximately 20:30, I personally spoke with Igor Ivanovich over the telephone. To cannot say that I spoke with him at length. In reality, we just exchanged a few phrases. As always, Igor Ivanovich was brief. But he again confirmed that everything is fine with him. Naturally, I did not even ask about his new assignment. I do not need to know this. Nor do you. While to the north of Lugansk the front, stretching along a broken line from Lutugino to the border with the Russian Federation, has remained stable for a lengthy some time, on the south-western and southern outskirts of Lugansk the enemy has launched an offensive with the aim of establishing a complete blockade of the city. As expected, the “assault” of Lugansk that began the day before yesterday chocked while still in the suburbs of the city because it was undertaken with clearly insufficient forces. The troops advancing from the south became bogged down in the urban development after being drawn into inconclusive street battles, which carried greater resemblance to going through the motions rather justifying the bravura reports that the “liberation of Lugansk” has begun. At the same time, battles for Khryashevatoye (which the enemy does not control completely) and Novosvetlovka (occupied by the enemy two days ago) continued. The latter (Novosvetlovka) is encircled on three sides (the greatest danger to LPR’s entire operation aimed at stretching out the ring of encirclement to Novosvetlovka comes from the southern direction) and is being bombarded by the LPR Army using MLRS and cannon artillery. Nevertheless, the attacks by the infantry and tank forces of the LPR Army are so far not yielding decisive success. Although it has repeatedly called for help, the enemy, entrenched in the residential development of Novosvetlovka, has so far been able to retain its primary positions. Both sides have been sustaining fairly notable losses in manpower and military hardware in the course of the battles. The perseverance of the factions is understandable. Novosvetlovka has operational significance with respect to the fighting near Lugansk, as well as political importance in connection with the passage of the Russian humanitarian convoy, which the Junta appears to have agreed to allow. Overall, the situation at the border is calm at this time. For a long time now, there have been no Junta troops to the south of Izvarino, allowing traffic to cross the border without much problem. Most of the trophies obtained in the Southern Cauldron have already been moved – either immediately to the front or for repairs. The main problem is posed by the lack of fuel and spare parts, as well as crews. With respect to the recent rumours on the topic of trade in weapons – on the territory of Donbass there has been a black arms market, which is not at all surprising. Moreover, it supplies weapons to both sides. Recently, the Russian Federation authorities have begun more closely attending to this question due to cases of resale and export of weapons to Russia. There is nothing surprising in this – during war, there is always a stratum of people of a criminal nature that parasitize on conflict and engage in robbery, looting, racketeering, as well as in arms trade. What can prevent this is more thorough filtration of people and cargo arriving from the territory of Novorossiya, as well as the strengthening of special measures to ensure order in the areas close to the front line and in the rear. 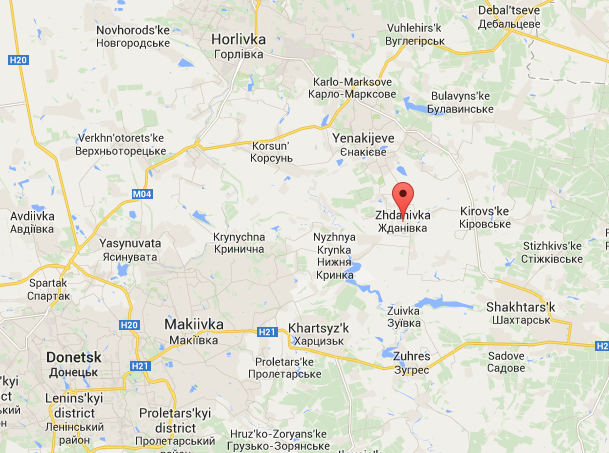 In the area of Alchevsk and Stakhanov the situation is stable. The LPR Army and the Prizrak [Note: Ghost] Brigade (no longer just a battalion) firmly hold key settlements and road junctions, conducting harassing attacks on the enemy near Pervomaisk and Debaltsevo. 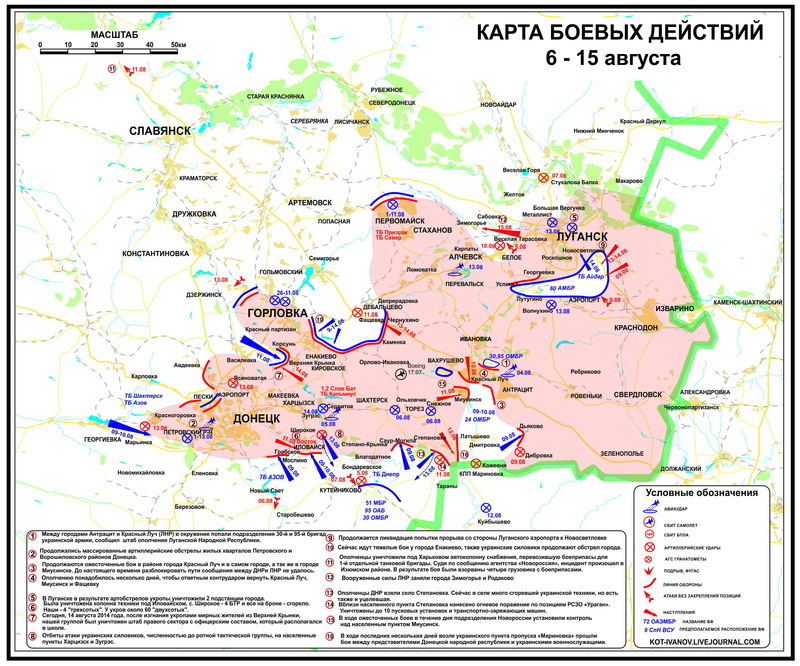 Despite triumphant reports, Debaltsevo itself has not to be taken, but the line of combat contact between the armies over the past 4-5 days shifted significantly closer to this key centre, forcing the Junta to hold back for the purpose of defending the city part of the forces that it could otherwise have used in the battles in the area of Uglegorsk and in developing its offensive to the south of Debaltsevo. Overall, considering the limited forces of the Militia in this area, it has been performing its objectives well here. For now, the Junta does not have sufficient troops here to commence an offensive aimed at defeating the Alchevsk-Stakhanov grouping of the Militia. Overall, on the territory of the LPR there is an operational crisis in the Novosvetlovsk-Khryashevatoye area, while the situation in the other section of the front is stable. Here we have to wait to see the outcome of the battles. 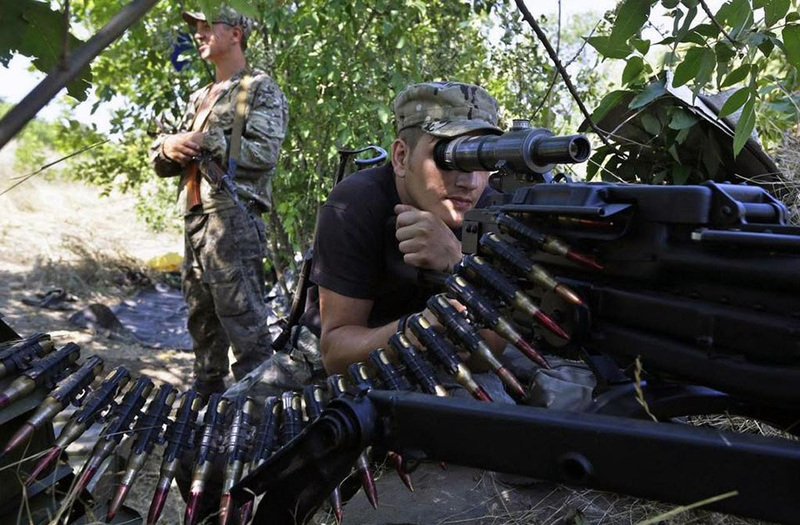 On the southern outskirts of Donetsk, the offensive on Ilovaisk has notably started to fizzle out. Ill thought-out attempts to punch through the defensive lines of the DPR Army head on and the unsuccessful attempt to encircle Ilovaisk from the southwest have resulted in the line of the main strike shifting to Mospino, which ended up being surrounded on three sides. What is more, the Junta is now claiming that the unsuccessful battles near Ilovaisk were part of an insidious plan to distract the DPR Army from Mospino. In reality, having suffered a defeat at Ilovaisk, the Junta was able to conduct a strike at the juncture between Ilovaisk and Mospino simply because of its overall superiority in manpower and military hardware. So far, the city itself has not been encircled, but the roads leading to it are open to enemy fire and there is a risk that the Mospino garrison could be surrounded. At the same time, the main strike of the southern grouping is becoming almost too straightforward, enabling it, at best, in the event Mospino is taken, to enter onto the southern outskirts of Donetsk. More ambitions plans involving converging strikes aimed at cutting off the highway leading to Donetsk through Torez and encircling Donetsk itself have once again been scrapped. Thanks also to the garrison of Ilovaisk. Yesterday a full-fledged Southern Cauldron 2.0 was born, in which units of two of the Junta’s brigades and various small units were trapped. The enemy took up defensive positions with strongholds in the settlements of Dyakovo, Latyshevo and Dmitrovka. The defeat in the battles for Miusinsk and Krasniy Luch, as well a the fall of Marinovka, have simply led to the repetition of the already familiar scenario in which the battered in heavy battles Junta brigades end up in operational encirclements and are shelled using artillery. However, considering the DPR Army’s operations in the are of Dmitrovka, it is unlikely that they will wait for the cauldron to dissipate on its own – there is simply no time for it. The militiamen are trying to speed up the process. It is obvious that, in light of the new encirclement, the Junta will be forced to redeploy its troops from the areas of Ilovaisk and Amvrosievka in order to attempt to de-blockade the Cauldron for the second time. In the nearest future an offensive by the Junta with the use of mechanized units can be expected in the area of Marinovka. It must be noted that the activity of the DPR Army’s saboteur-reconnaissance groups (“SRG”) in the area of the Uspenka border-crossing checkpoint indicates an implicit threat of the Junta’s grouping being encircled near Amvrosievka. 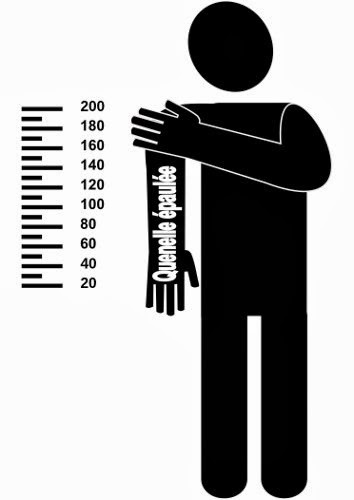 However, this threat exists of course in the medium term. The operational crisis in the area of Miusinsk and Krasniy Luch has, in general, been overcome. The units of the 30th Mechanized Brigade that were surrounded to the north of Krasniy Luch broke out of the encirclement with heave losses, and the enemy has finally been driven out from the suburbs of Miusinsk. Also repulsed were all the attacks of the enemy in the area of Snezhnoye. At the time, it can be said that the battle in the area of Krasniy Luch-Miusinsk-Snezhnoye was won by the Militia and that the Junta sustained significant losses in manpower and military hardware, all without achieving in any way significant results. 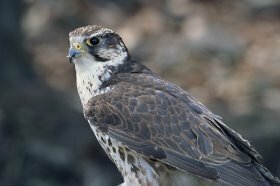 Accordingly, the Militia at this time retains control over the key highway that enables supplies to reach Donetsk and Gorlovka. The only direction in which the Junta continues to retain operational initiative is the section between Gorlovka and Debaltsevo, where it enjoys significant superiority in armoured vehicles. Utilizing this advantage, the Junta has been attempting to cut off Donetsk from Gorlovka and to approach Enakievo, resulting in fighting on the outskirts of the latter. 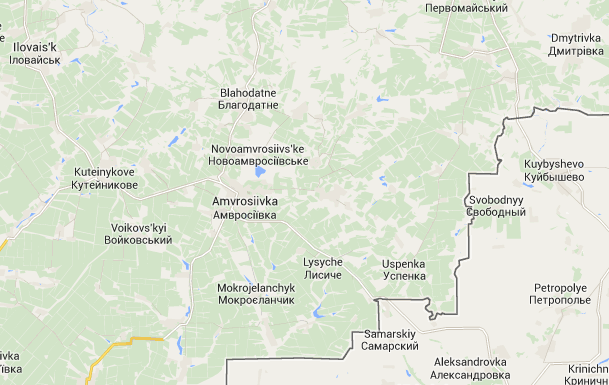 The blown up bridge near Uglegorsk has slowed the Junta’s offensive. The Militia’s arriving reserves fettered the advancing troops, but the risk of Gorlovka being encircled remains fairly high; moreover, Enakiev’s garrison, considering that recently it was still in the rear, is still fairly weak. At the same time, the reinforced armoured group of the enemy was able to break through to Zhdanovka, prompting heavy battles for this settlement. The loss of Zhdanovka is fraught with the danger of Enakievo being encircled from the south, and that is why the DPR Army is making all attempts necessary to curtail this breakthrough [Note: Reports from the Militia that came in following the publication of this briefing indicate unequivocally that Zhdanovka and part of Nizhnyaya Krynka were liberated today by the DPR Army]. At the same time, the Junta’s combat actions near Yasinovataya have failed to yield in any way notable results. Overall, the danger of Donetsk being encircled from the north and Gorlovka being surround remains. In addition, Enakievo is now threatened. That is why it is too early to say that the Junta’s offensive on Donetsk has been fully repulsed. Overall, the nature of the fighting has not changed over the past several days – the Junta is no longer able to advance everywhere and has been forced repeatedly to regroup before undertaking new strikes. Moreover, its defeats in the south have become systematic. Nevertheless, it would be too early to talk about overcoming the crisis before the Junta’s offensive to the south of Debaltsevo is repulsed and Novosvetlovka is retaken. Separately with respect to “Voyentorg” [Note: an ironic term for the notion of cross-border military aid coming from Russia]. Over the past several days, it has stepped up its work, which results in information seeping through to the mass media and symptomatic “leaks” from the DPR leadership. Certainly, no one will admit this officially, just as the presence of “polite people” in Crimea was not admitted until a certain moment. That is why the official line on this issue will remain as before – all allegations will be refuted, which is not, in itself, blameworthy. The guerilla war beyond the front line is gradually picking up pace, and the Junta clearly does not have sufficient men to control the band of the territory near the front line. As a result, reports about shootings and attacks on checkpoints at the rear and on columns of the enemy have started to come in more and more frequently. They still do not have an appreciable operational effect, but here also the tendency for the Junta is unfavourable. As recently as a month ago, it was far calmer at its rear. 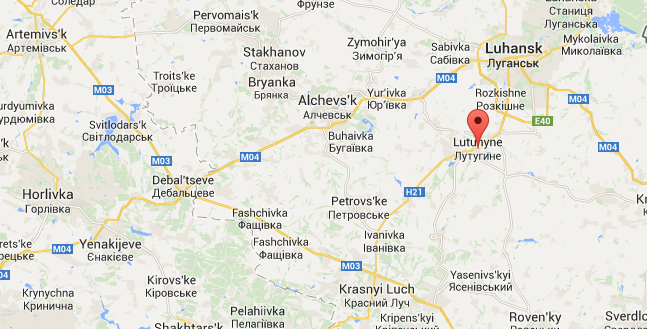 Donetsk and Lugansk continue to be subject to shelling. Every day peaceful civilians die and residences and infrastructure are destroyed. The situation has long passed the Rubicon into the territory of a humanitarian catastrophe. Note: Any statement herein that relates to alleged Russian military aid to the Militia is solely the responsibility of the originator of this material (Colonel Cassad). I do not express any opinion in this regard, have no evidence that would confirm these statements and cannot independently corroborate or verify any of them. 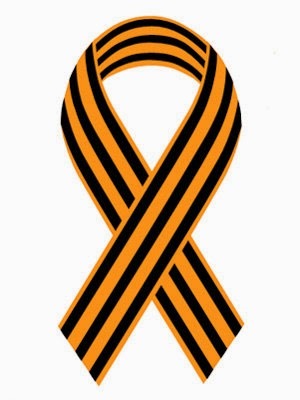 At this time, Yasinovataya is not taken by the Junta and remains in NAF hands [Note: additional and highly reliable reports were received later that corroborate this statement and further indicate that all attacks on the town had been repulsed successfully]. It was pointed out at the start of the offensive that Yasinovataya is one of the key targets for the Junta in the battle for Donetsk. That is why when the Junta’s tanks rolled into the urban development of Yasinovataya, it was reported through Poroshenko’s twitter that Yasinovataya was taken, even though to enter a town and to take a town and completely different things. Almost identical claims were made a couple of days ago about the “taking of Lugansk” when the infantry of the Junta started seeping through into the town to the west of Khryashevatoye. In Yasinovataya battles are currently unfolding, the factions have brought in their reserves, and tanks and artillery are actively being used. 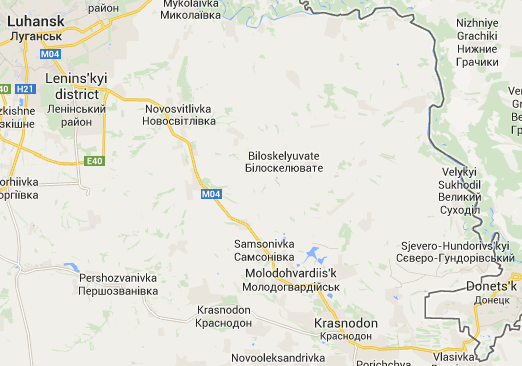 The LPR Army pushed the enemy near Novosvetlovka. On the Internet there are already bravura statements by militiamen claiming that the road was completely unblocked, whereas, in reality, this will still take time, as a portion of the highway remains open to enemy fire and it is too early to claim complete control over it. Any attempts to move a few cargo trucks to Lugansk down this road could end poorly. In the course of the day the Militia shot down 3 aircraft – 1 MiG-29 and 2 Su-25. There is confirmation with respect to the MiG from the Junta; there is already a video showing one of the Su jets (even though there is some confusion with the video – in a fuller version, characteristic debris from MiG-29 can be seen, so it may, in fact, be one and same plane). In other words, 2 certainly were shot down and 1 remains unconfirmed for now. Overall, it can be stated that the Junta’s attempts to use its air force in the area of the punitive operation inevitable lead to losses because the Junta has no capacity to suppress even an antiaircraft defence comprised of old AA and MANPADS system. The improvement of the situation near Miusinsk and Snezhnoye has enabled the Militia to redeploy some of its forces and to throw them to the aid of Donetsk. These reserves also allowed the Militia to develop its offensive to the west of the Southern Cauldron 2.0, initiating battles on the approaches to Saur-Mogila, the tip of which remains a no-man’s-land. Considering the nature of the terrain and the significant artillery forces on both sides, the fighting here will be protracted. The Russian humanitarian aid column remains near the border with Ukraine. No go-ahead has been given yet. Most likely, they waiting for the completion of the battles for Novosvetlovka and the purge of the enemy’s SRGs that otherwise could attack the convoy on the highway. Overall, as mentioned earlier, the Junta retains initiative to the north of Donetsk and, for now, its offensive there has not been stopped. The victories in the battles for Ilovaisk, Miusinsk and Krasniy Luch should not be confused for a victory in the battle for Donetsk. The situation remains complex and at the moment our forces hold the front with great difficulty.